How Far is Sreemitra Heights? Sreemitra Heights is a luxury Residential Complex consists of 2 BHK & 3 BHK Apartments in different sizes tootling 70 flats with ultra-luxury specifications is under construction in Manikonda, Hyderabad. Sreemitra Heights (Residential Apartments Complex) is just 1 kilometer away from Lanco Hills Manikonda and just 4.5 kilometers from Outer Ring Road (Narsing), 3.5 kilometers from Wipro, Microsoft & other MNCs and 6 kilometers from Filmnagar, Hyderabad. Sreemitra Heights’ is being developed in cool pollutions free environment with excellent surrounding. Sreemitra Heights is fully secured with compound wall all around flat land with best infrastructure such as B.T. roads, water/sewer lines etc. 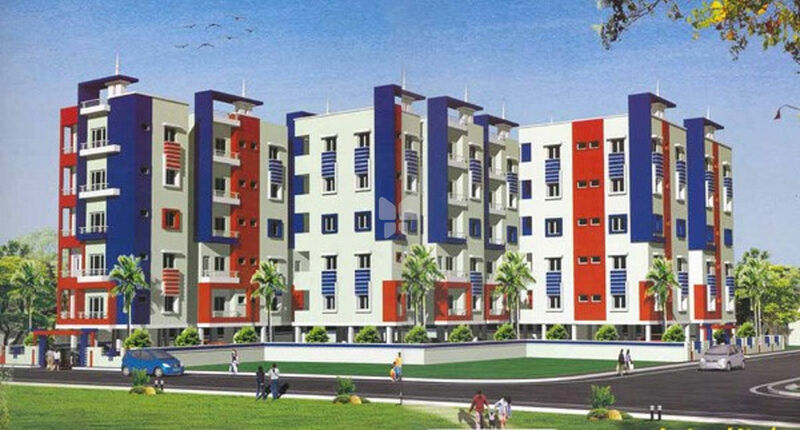 Each Flat and the whole layout is designed as per vaastu principles, convenience and comfort for the occupants. Exterior: Blending of textured paint and acrylic base weather proof exterior paint.